Emily Lantigua, a ninth grader at St. Mark School in Southwest Ranches, admires the variety of books at the first "Good News! 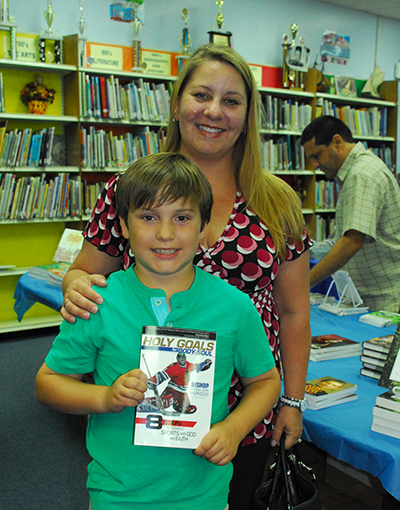 Book Fair," held at St. Jerome School in Fort Lauderdale. A wide variety of Catholic-centric books were on sale at the "Good News! Book Fair" held at St. Jerome School in Fort Lauderdale. 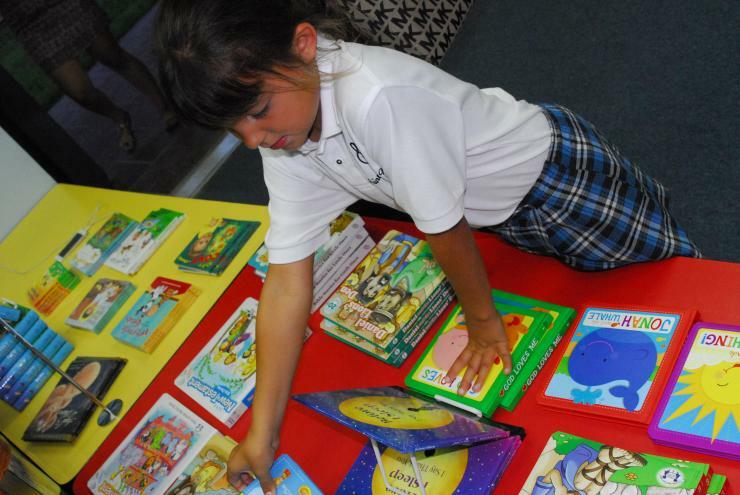 A St. Jerome student looks over the variety of Catholic-centric books available at the first-ever "Good News! Book Fair." Parents, teachers and children of all ages from St. Jerome School enjoy the variety of Catholic-centric books at the first "Good News! Book Fair." 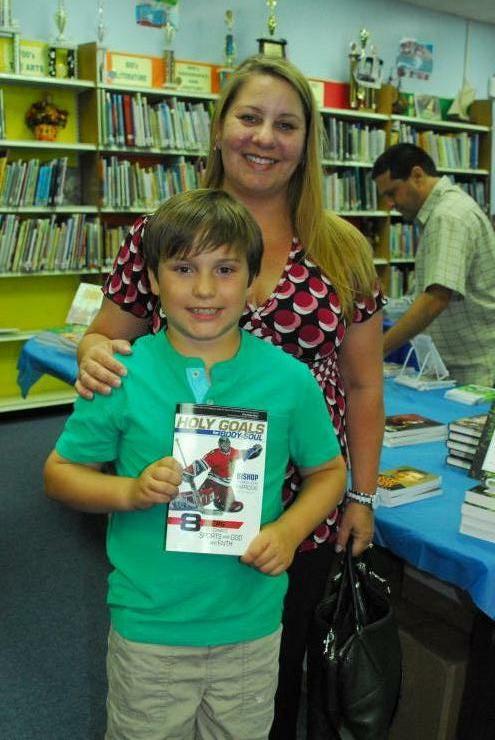 Ryan Alvarez, a St. Jerome fourth grader, shown here with his mother, Carolyn Alvarez, said they were delighted to find a Catholic-centric book about a hockey player at the first ever "Good News! Book Fair." 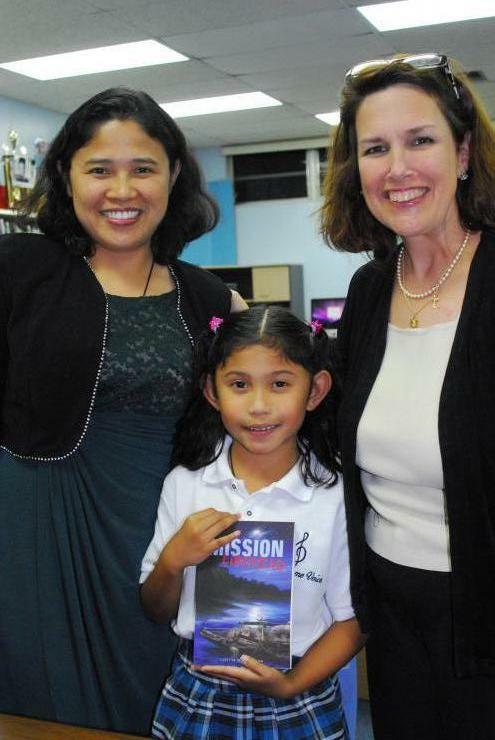 Kyla Abueva, a St. Jerome second grader, and her mother, Maria Abueva, are tickled to meet author Lizette Lantigua and buy a signed copy of her book, "Mission Libertad," at the first ever "Good News! Book Fair." FORT LAUDERDALE | Who knew that Catholic books were so much more than Bibles and saints’ biographies? Lizette Lantigua, of St. Mark Church in Southwest Ranches, had a big turnout for her first “Good News! 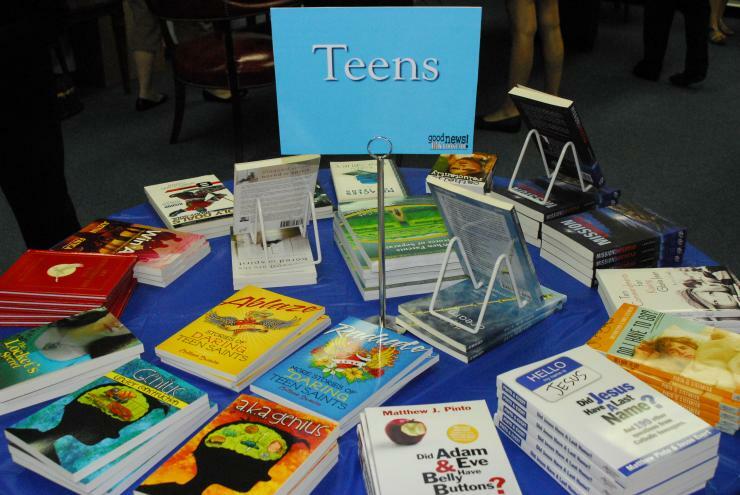 Book Fair,” held May 26 atSt. Jerome School in Fort Lauderdale. The book fair featured many top Catholic publishers along with Christian-themed music, posters, jewelry and clothing. 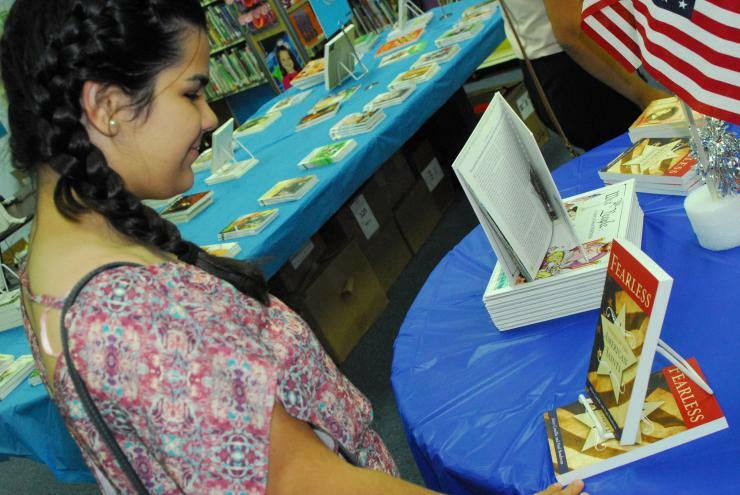 Dozens of adults and kids alike stood in line to buy either Lantigua’s autographed novel, “Mission Libertad,” or one of the hundreds of faith-based books on topics such as cooking, sports, Christian fiction or mystery. “People might be surprised to read books about saints who were just like you or me,” said Katherine Lantigua, who takes after her parents in their love of reading. These Catholic book fairs have something for everyone — from picture books for kids to mystery and drama series for teens, and as well as resources for teachers and a wide variety of sports, cooking and art books. Kathy Murray, St. Jerome’s media specialist, said she had coordinated many book fairs but that this one was unique because it is the first Catholic-centric one. Those interested in scheduling a fair at their church or school should contact Lizette or Adolfo Lantigua at 954-252-0178; or email Liz@goodnewsbookfair.com. For more information go to www.goodnewsbookfair.com or FaceBook.